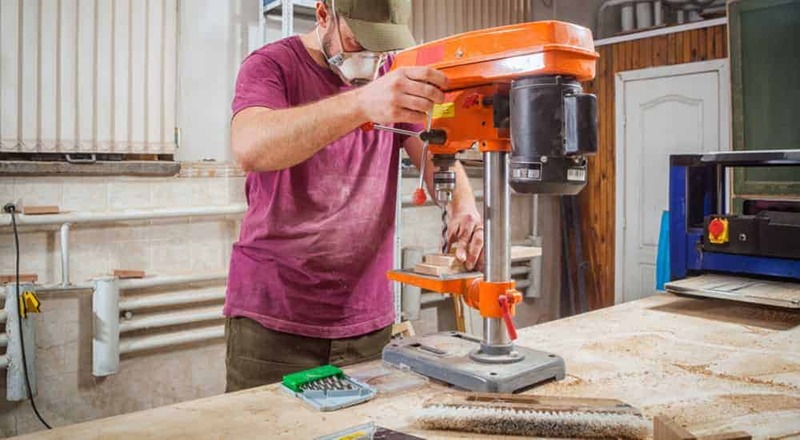 If you’ve found yourself sweating bullets trying to bore a straight hole with a hand drill, it might be time to consider a drill press. Having the right drill press can be the key to getting a project done right. This is why we’re going to walk you through and find the best drill press for woodworking. What does the best woodworking drill press consist of? What is the swing of the best benchtop drill press for woodworking? How to Choose the Right Drill Press for Woodwork? Our top pick for the best drill press for woodworking is the WEN 4212 10-Inch Variable Speed Drill Press. The WEN 10-inch drill press has the most value for your money. The speed variable gives you the best control for a precise bore. Along with the accessory options available and a strong customer support line, we feel this is the best choice for the consumer. The WEN variable speed feature allows you to control the exact RPM between (530-3100). This product is powerful enough to bore through metal, wood, and plastic. Can drill up to a 1/2 “into cast iron. The worktable bevels rotate 45 degrees left and right for precise drilling angles. The WEN has a depth and adjustment gauge to limit your spindle travel to an exact depth to give you complete control over the bore. Laser precision targeting gives you the exact location where the bit will penetrate. The JT33 spindle taper handles bits up to ½ inch. Strong cast iron base provides stabilization and comes with pre drilled holes to mount to workbench. It also is equipped with a cast iron work table with slotted vents for clamp attachment options. The WEN models come with Chuck key storage for convenience. Also the chuck accommodates for a variety of drill bit sizes. The machines motor runs quite and smooth and has minimal vibration. Owners manual comes with easy to follow instructions for a quick assembly. 2-year warranty, 90-day commercial, product support will give you peace of mind on your purchase. The HICO has a five-speed setting to accommodate for various materials. The spindle can travel up to 2 inches with locking linear depth ensuring accuracy. Another great feature is a cast iron adjustable work table to position for a precision drill. Strong cast iron base provides stabilization during use. This model was built for repetitive drilling and can accommodate long work days. Has shown exceptional performance under heavy use. The HICO’s 8-inch swing is perfect for any home project you might embark on. The safety switch provides preventative measures to avoid any accidents. The HICO offers a chuck size that can handle various bit sizes. This model is equipped with a strong chuck grip, which prevents slipping during boring. HICO models are equipped with durable metal parts for longevity and lasting performance. This model has a simple design which is ideal for those unfamiliar with the drill press. The motor has ⅖ horsepower and provides strong torque and power, can handle any hardwood. The HICO’s head is equipped with a rust-resistant paint job, which enhances the lifetime of the machine. The WEN spindle can travel up to 3 1/8 inches with locking linear depth. The product has bevels which rotate 45 degrees left and right for precise drilling angles. The cast iron worktable is adjustable for a precision drill. Strong cast iron base provides stabilization during use, for ease of mind. Also comes with pre-drilled holes for mounting to workbench. Drill Press height from ground 37 inches. This model gives you great flexibility because of the MT2 spindle providing a variety of bits. Max drill capacity; has the power to bore 5/8 inches into 1-inch cast iron. Accessories like mortising attachments, sanders, circle cutters give you more options to choose from. This model comes with a ⅔ horsepower motor and can drill through metal, wood, and plastic materials. The WEN comes with a roll-out table extension which offers up to 17 inches of support. The onboard work light is great for low-lit environments. WEN equips their presses with high-quality parts. This allows the drill to perform under repetitive use. This drill press has one of the better warranties; 1-year warranty/ 30-day money back guarantee. Having five-speed settings gives you the range to bore through a variety of material. The Laser sight provides accuracy as you lower the bit to drill into lumber. The bump-switch is a key safety feature which can come in handy in a time of need. The ½ inch chuck can accommodate for large diameter bits which are designed for woodworking. The adjustable depth stop gives you an accurate measurement for repetitive drilling. The Skil Press is great for garages with limited space, with the option of storing away when not in use. The SKil model provides smooth operation with low decimals when motor is in use. The Skil Press offers one of the simpler assemblies on the market,comes with instruction manual. The 10-inch swing gives you a little more room to work with larger planks of lumber. The ShopSeries comes with cast iron bevels, which tilt up to 45-degrees. This allows to perform angled bores. With a 2-year warranty, you have protection against any product defects. Manufacture repairs and replaces parts. This drill press offers five operating speeds to give rpm control for working with various materials. The ShopSeries assembly is mild, and instructions and assembly tools are provided for convenience. The ShopSeries offers power for a more affordable price. It’s equipped with a 6.2 amp motor capable of drilling through soft and hard wood, plastic, and light metals. This drill press comes with a 1/2 inch chuck which accommodates for softer metals and woodworking bits. The ShopSeries provides 200 lbs. of torque with 16+1 clutch positions for tough jobs. The ShopSeries motor operates quietly and gives an overall smooth experience. Solid base with pre-drilled mounting holes. Great for stabilizing on any worktable. Equipped with a key safety switch which prevents any accidental starting. Comes equipped with LED lights for low-lit garages. When it comes to woodworking precision is key. 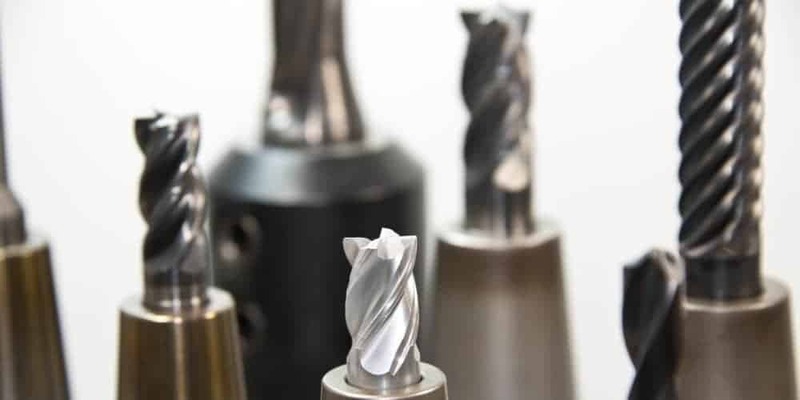 If you’ve ever been tasked with making a meticulous bore, you’ll find yourself heading toward the drill press. However, there are projects in which you might use a hand drill instead of a drill press. That leaves the question; when should you utilize a drill press? The drill press should be utilized on a project where accuracy is key. The tool was designed with mechanisms in place to control the drill speed and depth. Due to the stationary nature of the tool, it gives little room for human error. A hand drill can’t compete with the quality of control you’ll receive when using a drill press. The drill press gives the perfect mixture of pressure and accuracy. The nature of the machine gives you the power to apply hundreds of pounds of pressure to bore through even the strongest of materials. It should also be utilized to make a precise bore through wood. When drilling through a robust lumber the press drill will ensure a level hole was made. It comes with a variety of features to give you options of angles, depth and bore size. It's a must have power tool for woodworkers together with Dremel rotary tools. The drill press, though it can be dangerous, is safer in nature than a hand drill. With the drill press, the user only has to operate the handle to make a calculated hole. It leaves little room for human error, please read safety tips below. The standard drill press consists of three main parts; base, column, table, and head. Base -The base provides stabilization of the machine to prevent any tipping or rocking. Typically, the manufacture pre-drills holes in it so you can fasten it to a solid structure. Column – The column is the shaft that runs perpendicular to the base and holds the table and head in position. The length of the column will decide if it’s a bench model or floor model. Table- The table is fastened to the column and is adjustable. It has a free range between the base and head. Some can be fixed to various angles if needed. Head- The head is the meat of the machine. It combines the quill, spindle, chuck, and handle. Quill – Is the hollow shaft that surrounds the spindle. Spindle- Is the rotating shaft the chuck is mounted on. Chuck- Is a clamp that tightens around the drill bit to hold it in place. Handle – The handle controls the drilling mechanism. Each one of these parts helps you prepare for a precise bore. The table and head will need adjustment as necessary. However, the column and base should remain stationary once established. In a nutshell, the swing of drill press determines the size of lumber you’ll be able to work with. Swing is the measurement between the column and the center of the spindle. If you have an 8-inch swing, it means you have 8 inches of room to slide your wood on the table. For woodworking projects, you typically deal with bench top model drill press. Same apply when working with wood lathes for making bowls. Benchtop model presses vary between 8-12 inch swings. This will accommodate for almost every piece of lumber aside from plywood. Floor models range from 12-20 inches of swing. Larger materials will need more swing, thus a floor model is recommended. For household projects, a benchtop model should work just fine for your everyday needs. Typically, the swing measurement is mentioned in the product title. The drill press was originally designed for metal work. However, many woodworkers have found value in using the tool to make precision bores. Choosing the correct drill press for the job is a matter of your needs. Here is a basic guideline to judge which drill press is the best fit. Different models provide a variety of power. You might not have a need to drill through a metal plank, so if you find yourself working with lumber, less power is fine. It depends on what type of projects you anticipate. If they’re more cumbersome projects, it’s probably better to have a heavy-duty drill press. However, if you’re seeking to use a drill press for word working, we feel most of the benchtop models can handle the workload. When it comes to size you’re going to want to consider the swing of the drill press and chuck size. The larger the swing and chuck size the more the drill press can handle. It’s important to choose a drill press that provides variable drill speeds. When working with different types of wood you’ll need to increase or decrease your RPMs. Some drill presses, like our pick, give you the option to set precise drill speeds. You will find this feature on the WEN models, to where you can set it to a certain RPM. Other models will break their drill speeds up into a five-speed setting. The five-speed setting gives you the option to bore through various materials, but it does not give you the option to set a precise drill speed. There are different accessories that come with a drill press. Clamps, foot pads, hold downs, lasers, work lights, vices with angle adjustments. When choosing a drill press consider if it accommodates for any accessories you might need. Some of the lower end models will come with limited attachment options. Sometimes you’ll need various attachments when working on unique jobs. You should look for the basics like clamps and some sort of lamplight. The higher-end models will come with speed readers options, lasers options, etc. Some can even do similar jobs to a benchtop sander. Table size is important because it determines the size of the material you’ll be able to work on. Most tables range in sizes from 6x6 inches on smaller models to 14x14 inches on larger models. Some models come with table rollers, which gives you some wiggle room to handle larger planks. A quality table is made of cast iron, which helps with the longevity of the part. There are two types of drill presses, floor models and bench models. The floor model is used for heftier projects where you’ll be working more of production type job. The bench model is designed to mount on a workbench and is best fit for smaller scale household projects. The drills are also divided by their swing capacity. You’ll notice a reference to a measurement in the name of the product. This measurement is of the swing on the drill press. Every manufacturer is different. Some will carry replacement parts in-house and can ship them to you in a few days, others must order them. Warranties are another factor to judge. Having a strong warranty can help save some coin if you find your machine acting-up on you. The material used is another factor you might consider. It’s better to have cast iron when working with a drill press. However, to save on cost some will make parts from aluminum. If this is the case you’ll have a cheaper drill press, but it might need more attention in order to keep the machine in proper condition. Any accident with a high-powered tool can be serious. With that in mind here are some steps you can take to be safe. Clear the working area. It’s smart to sweep around the perimeter of the machine to avoid any miss-footings. There most likely will be sawdust built up and it’s a good idea to clear at least two feet around the drill press. Remove loose-fitting clothing or gloves. You want to avoid anything getting caught in the revolving bit. Use a clamp to secure the object you’re working on. Secure base of the drill press to a solid foundation. Never walk away from the machine when powered on. The drill press has a few components that can wear after many hours of use. The drive belt, chuck, quill, and table. Chuck- It’s important for your chuck to operate without any hiccups. The way to ensure smooth execution every time is to clear it of any sawdust build up. Once clear apply lubrication. Like any mechanism which rotates at high RPMs it needs to be lubed up to prevent locking up. Belt- A good indication it’s time to replace your belt is a noisy machine. You’ll hear that familiar squeaking sound as you would on a car. If gone unchecked you’re likely to cause other mechanisms inside the head to fail. Quill- Once you’ve removed the chuck you’ll be able to inspect the quill. Make sure the quill is always tightened. If loose it will cause a wobbly drill bit and that potentially wreak havoc on a piece of lumber. Table- To protect your table from rust make sure to clean regularly. Some rust-resistant spray ought to do the trick. Better quality tables are made from cast iron, make sure to clean appropriately. To get the most out of your machine keep up with routine maintenance. Make sure to read the instruction booklet provided by the manufacturer. Read through the FAQs as well, to get a better understanding of your drill press. When choosing a drill press it’s better to avoid those with parts made from plastic. The nature of this machine is cumbersome. The repetitive use of this machine can quickly wear down cheaply made parts. Machines that are made with strong metals is recommended. Can I use a drill press as a wood lathe? Yes, you can turn your drill press into a vertical lathe. If you’re tight on time or don’t have room in your garage for a lathe, the drill press can substitute. However, one thing to note is with smaller models you will be limited to lumber sizes. What size drill press is for woodworking? Most any benchtop model should be durable enough to handle a word working job. However, to gain the most power from your machine a standing model is recommended. When it comes to benchtop models the standard swing is between 8-12 inches. Can you use a drill press as a milling machine? Using a drill press as a milling machine is dangerous and not recommend. Safety is the number one priority in the workshop. Can I use my drill press as a mortiser? Yes, you can use it as a mortiser. You can use the drill press to cut out the majority of the stock and square the edges up with a chisel. What is drill press chuck key? It’s the key which is used to loosen or tighten the chuck’s jaws. How to fix drill press runout? The best way to fix drill press runout is preventative measures. Make sure to tune your machine after every use to ensure it’s in working order. However, the best way to address the issue is to conduct an elimination method of expecting. As mentioned above the WEN 4212 10-Inch Variable Speed Drill Press is recommended for any woodworking project. The benchtop models are ideal for woodworking. They’re perfect to store away in your garage if you’re tight on space. The WEN 4212 has a 12-inch swing which is ideal for most woodworkers needs.What makes it stand out from the rest is the variable speed factor. With complete control of your RPMs, you can set a precise drill speed. Not only that the digital screen displays your speed. To top it all off WEN has an outstanding customer support line. It also offers repair and replacement parts with a 2-year warranty. Additionally, the Hico 8” Bench Top Drill Press 5 Speed Rotary Tool Works Station, is a great pick if budget is a priority. With the Hico you’re not going to sacrifice quality because of the lower dollar amount. It has essential features, like depth stop, and a five-speed setting, which make it a competitor in the market. Along with the WEN 4214 12-Inch Variable Speed Drill Press, being a great middle ground between budget and performance. The WEN brand includes great additional features like, speed variable control and LED speed read out. The bonus of the 12-inch is the additional swing, which comes with the larger machine.